The keys of the “Fusion keyboard” feature capacitive touch sensors. They can detect gestures in a similar fashion as an Apple Touchpad, including scroll, drag, and zoom among others. In short, the keyboard will practically eliminate the need for a standalone touchpad or a mouse. 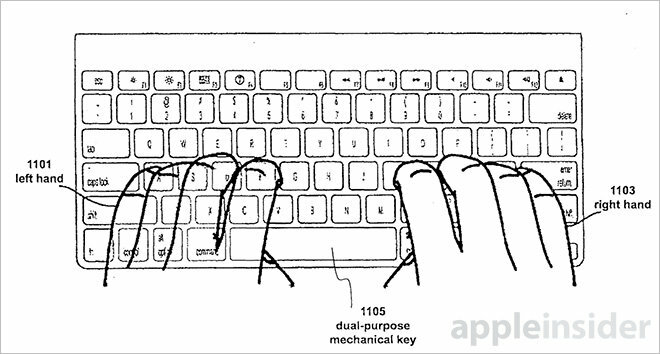 Furthermore, the patent reveals that the keyboard can process hand input individually. Its two-position switch setup enables output at different depths of depression. There is no word on when or if Apple plans to release the new keyboard. The company filed the patent for it back in 2011.